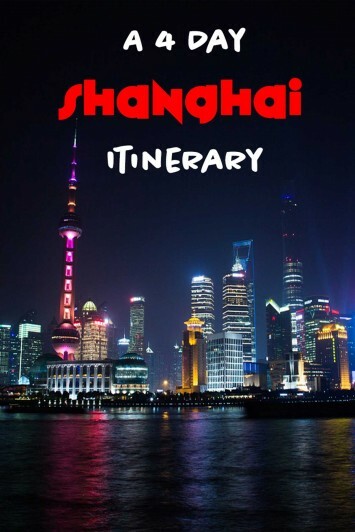 This 4 Day Shanghai Itinerary is a guest post from Claire. 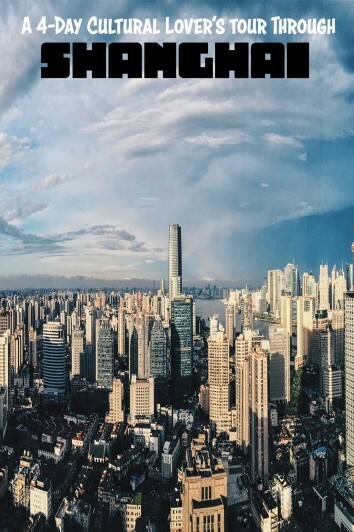 Shanghai is China’s answer to New York City, another city that never sleeps – and one that is growing at an alarming rate. With 23 million inhabitants, it’s one of the world’s most populated cities; and it’s showing no sign of slowing down. With this colossal population comes a unique culture and a compelling history intertwining with modern Chinese society. From temples to flashy skyscrapers to European-esque buildings lining narrow streets, there’s plenty to keep occupied with during 4 days in Shanghai. All of these attractions are located a metro ride away from each other; especially if you’re travelling solo in China, using this form of transport keeps the costs down so you can spend more on activities in Shanghai. 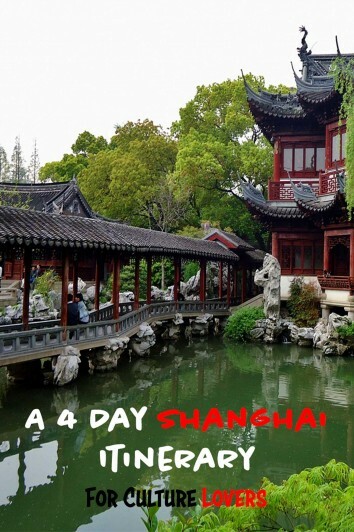 If you’re wondering what to see in Shanghai in 4 days, or even if you don’t know how to begin planning a trip to China’s largest city, this 4 day Shanghai itinerary is for you! 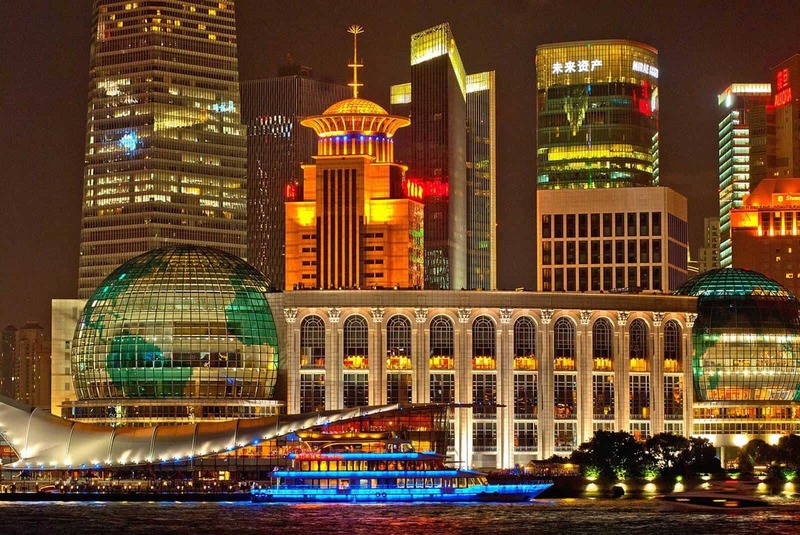 Beijing is famous for Tiananmen Square, and Shanghai is undoubtedly known for The Bund. This skyline of buildings stretches out against the Pudong River and is known for its tall skyscrapers and futuristic-looking structures. Take your time strolling along the Pudong to take it all in and snap some photos. It will no doubt be the highlight of your time in Shanghai and probably one of the best sights on your entire China itinerary. After you’ve seen the Bund from the other side of the river, cross the Pudong and you’ll end up in the thick of it. Strolling around this area of Shanghai may make you feel like you’ve teleported into the future; the buildings are glitzy and modern to a level that I haven’t seen anywhere else! Pudong boasts a recognizable skyline, luring visitors with a prestigious financial centre, and luxury shopping. Of course, the best way to see this financial district is from above. 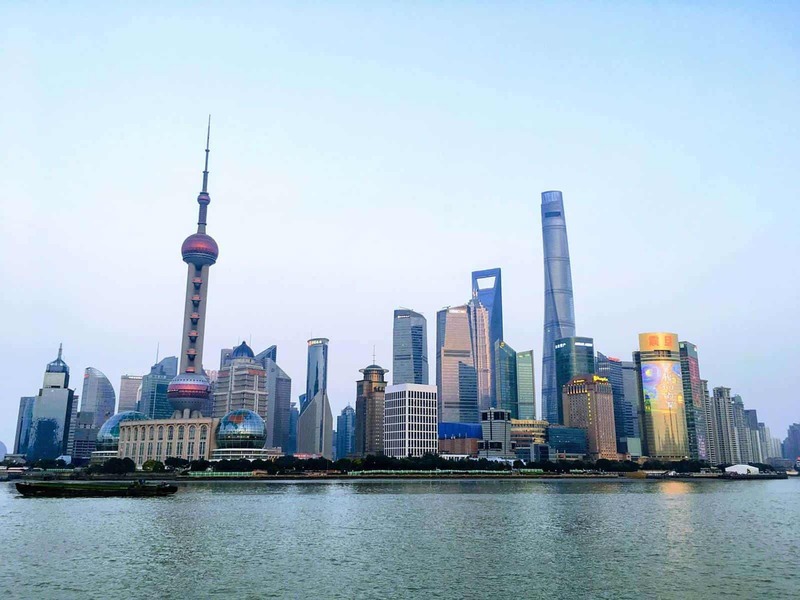 You have a few options for the best observation deck to see Pudong from; the Oriental Pearl TV tower has a few different levels, as does the Shanghai Financial Center. Or, omit all the queues and enjoy a drink with a view by going up to the 87th floor of the Financial Center. You’ve seen Shanghai’s shining future, but here’s a great place to learn about how it got that far. The Shanghai History Museum discusses the origin and growth of the city; from a humble port town, to a semi-colonized area, to the booming metropolis it is today. It’s one hell of a story; and you can learn about it all in an interactive form in the museum, which is on the ground floor of the Oriental Pearl TV Tower. The French Concession is a huge area of Shanghai, filled with European style buildings, boutique shops and cutesy cafes. With just 4 days in Shanghai you won’t be able to explore it all, but wandering down certain streets of the neighborhood is a fantastic start to the day in China’s biggest city. Nestled within Shanghai’s French Concession are the vibrant alleyways of Tianzifang. You wouldn’t be surprised to find a place like this in Rome or Barcelona; there are even restaurants serving pizza and churros – not together though! But it’s a wonderful place to amble around; and it’s interesting to see this side of Shanghai’s culture. 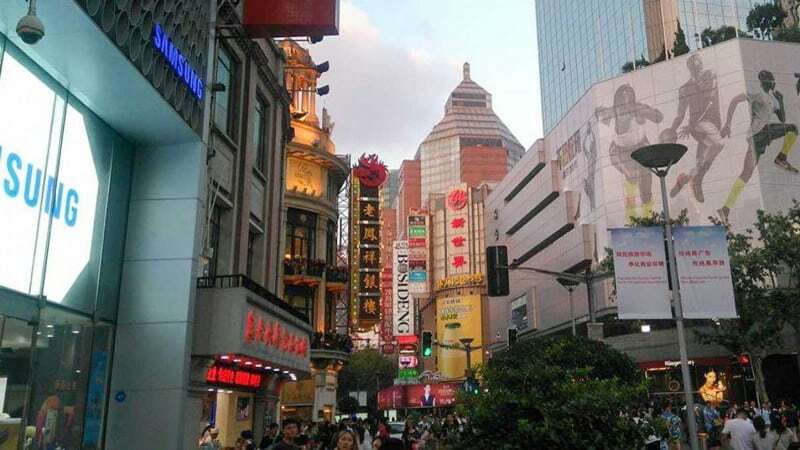 It’s also a fantastic place to purchase some Shanghai souvenirs. The Longhua Temple is Shanghai’s most famous religious building. It contains the Longhua Pagoda, a typical tiered Chinese temple with ornate detailing and beautiful architecture. The history of the temple spans back to 242 AD, making it Shanghai’s oldest temple by far. Visitors can climb up the pagoda, enjoying the detailing on the inside, and witness a fantastic view from the top. Longhua Park is also a serene area that’s well worth exploring, especially in late spring, when its flowers are in full bloom. You’ll be no doubt wanting a rest after exploring the temple and French concession, and why not do it Chinese style – with a pot of tea! There are many teahouses dotted all over Shanghai, but this is one of the best. Enjoy authentic Chinese tea tasting in this local setting; popular favourites are oolong and jasmine, or longjing tea from the nearby city of Hangzhou. 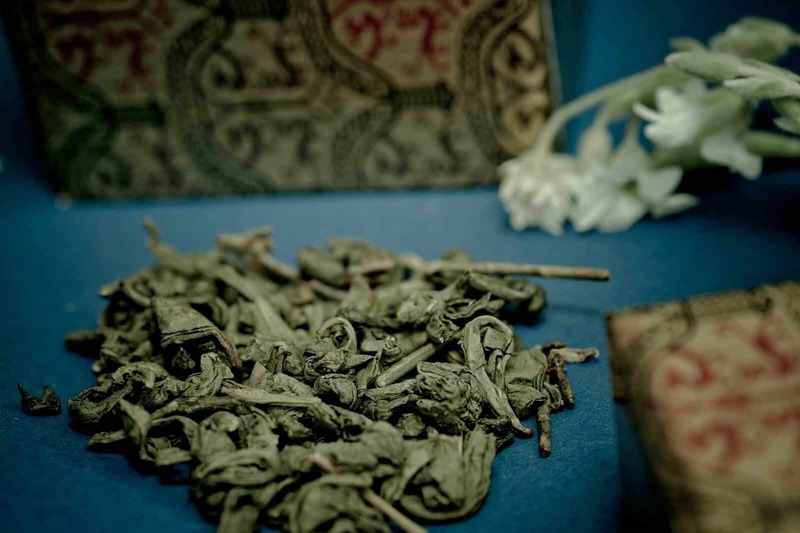 A Shanghai itinerary is incomplete without enjoying an authentic Chinese tea tasting. A strong contender for the title of China’s weirdest museum, the Propaganda Poster Art Center documents Chinese indoctrination throughout the years. Sometimes comical, but other times very serious; visitors to the museum can see the extent to which Chinese propaganda against Westerners was used during the cultural revolution. The museum is housed in someone’s basement, giving the whole operation an overwhelmingly undercover feel. It’s definitely one of the unique activities in Shanghai. Within a Shanghai suburb is Zhujiajio, an ancient water town with over 1700 years of history. 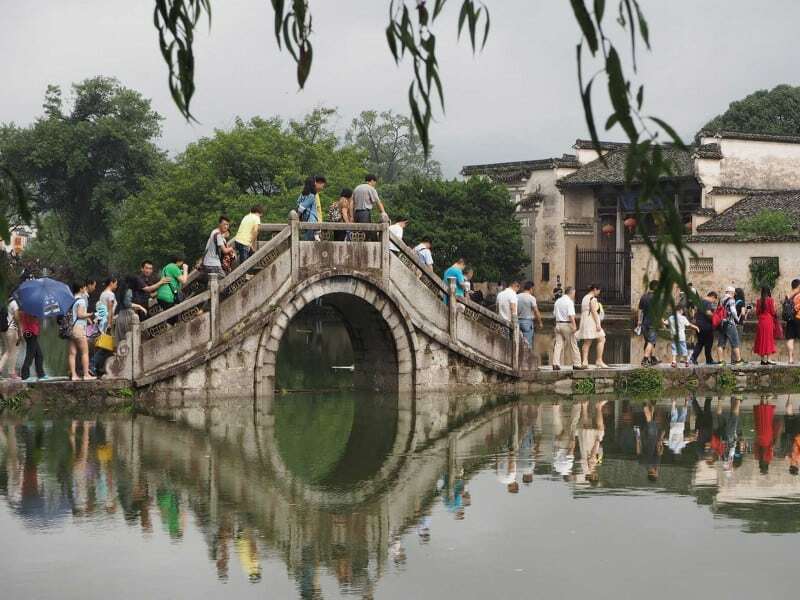 It is famed for its many bridges, which were built during the Ming and Qing dynasties. There’s lots of old buildings and narrow laneways to explore, as well as gorgeous gardens. But of course, the main attraction is the water; you can take a boat out on the canals or merely stroll around admiring the so-called ‘Venice of China’. Zhujiajiao, the Venice of Shanghai, features lovely waterways, curved rock bridges, and old streets cemented with stone. One of Shanghai’s most famous temples, the Jade Buddha Temple was constructed to keep two jade Buddha statues that had been transported from Burma. During the 1928 revolution, the original temple was destroyed but the Jade Buddhas were luckily unscathed. They and other cultural relics are housed in this elaborate temple, which is open for visitors every day. The Yu Garden is one of the last rural oases in the middle of Shanghai. It’s one of the city’s largest green spaces and has an abundance of history since it was built in the 16th century. Nowadays, it’s a tranquil space to walk around and enjoy the flora, while taking a breather in the middle of the mad metropolis. 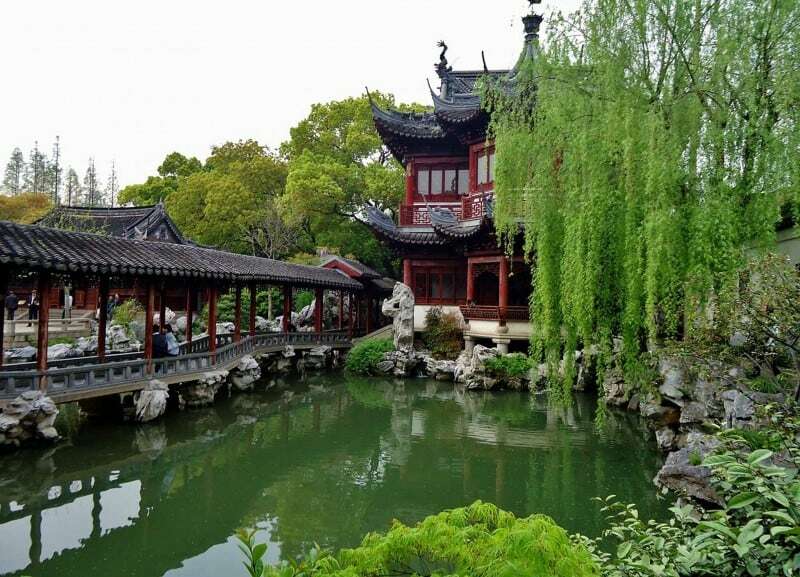 Yuyuan Garden is a must during your Shanghai itinerary. The cultural heart of Shanghai, People’s Square connects the main landmarks of the city. It’s a fantastic place to sit back and people watch; but if you fancy some more history and information about the city, the Shanghai Museum is just off the square – as is the Urban Planning Exhibition Hall, which is home to the impressive yet somewhat terrifying miniature of what Shanghai is projected to look like in 2020. Nanjing Road is Shanghai’s Times Square; it’s home to seemingly millions of lit up buildings, all flashing and illuminating against the sky as it darkens. It’s a place with relentless energy, the kind of street that you could spend hours walking up and down even if you have no real purpose for being there. If waxworks are your thing, Madame Tussauds Shanghai is very nearby. Include Nanjing Road in your Shanghai itinerary which is the main shopping street of Shanghai. You’ve seen the Bund by day, but one of the best things to do in Shanghai in 4 days is, without a doubt, seeing it illuminated against a dark sky. You have to see it to believe it – it’s hard to grasp how much a skyline can actually be lit up – and you could spend up to an hour just marveling at the view. Make sure you don’t forget your camera! Bund, the very famous waterfront at Daytime! Bund, the very famous waterfront at Nighttime! Jinjiang Inn Shanghai Minhang Wujing puts you in the center of Shanghai. You can enjoy cable TV, coffee/tea makers, and desks. You’ll find nice touches like slippers and free toiletries to enhance your stay. The contemporary Hilton Shanghai Hongqiao hotel offers magnificent views of the Shanghai city. Dine in one of the Hilton Shanghai Hongqiao’s impressive restaurants. Le Meridien Shanghai Minhang is a visually stunning property. Very friendly and accommodating staff. Best of all is walking distance to many bars restaurants, shopping centers, and local cultural attractions. 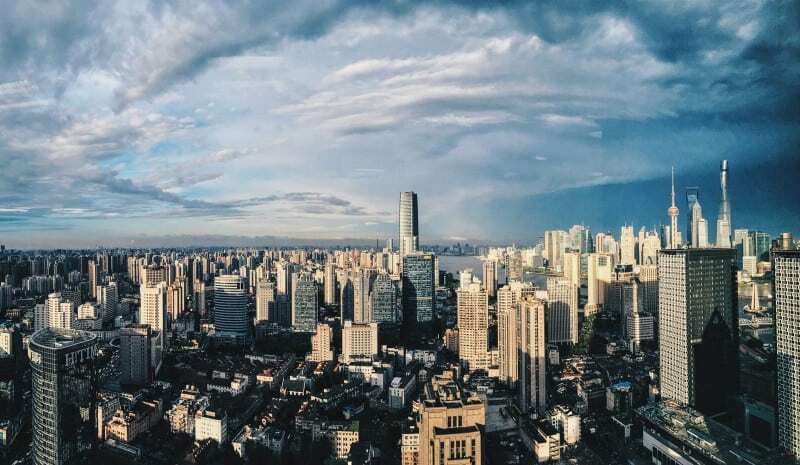 Airbnb is another great option for accommodation in Shanghai, you can check what’s available here, and if you’re new to Airbnb, grab a discount at this link here. 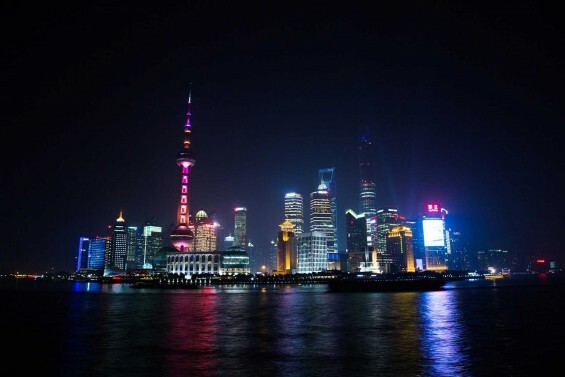 What do you most look forward to seeing in Shanghai? Does anything on this list surprise you? Claire is a British travel blogger on a mission to get to the heart of places by overland adventures. She writes about eco-travel and travelling with purpose, by slow travelling and adventuring overland, on her blog. She’s spent lots of time in the UK, Guatemala, and China and she is currently road tripping through Australia. Keep updated with her adventures over on www.clairesfootsteps.com! Pin me if you love me!